Find your Dallas area Dealer or have product shipped. Thank you for visiting our Frisco, TX Dealer's Listing! We are right here in Frisco (north end off Eldorado). I generally stock the most popular items. You can depend on us daytime hours and weekends. We are adding more stock as we expand so please call in advance incase I have to pick up at the warehouse. Preferred Customers pay the Dealer Cost for all AMSOIL products so if you will be buying frequently we can set you up as a wholesale buyer. Sign up with this link and you will be tied to our service which there will be no extra mark-up. This gives you access to the Arlington warehouse too. You can sign up directly online using the Preferred Customer form here. Call Liz for fast AMSOIL service! Serving the following areas in and around Frisco, TX - McKinney, Plano, Allen, Carrollton, Lewisville, The Colony, Prosper, Collin County, Denton and North Dallas. If you cant reach me simply use this link to order and product will be shipped from our warehouse or one close to you. 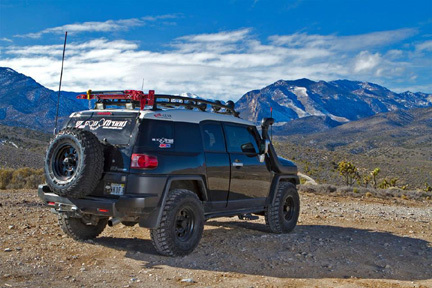 Online ordering from the AMSOIL HQ (shipped from Vegas or other warehouse) . But first call for local stock and pick-up. Thanks for stopping on my Frisco, TX AMSOIL page! We are here to serve you with the greatest courtesy and service. My name as you can tell is Liz and I assure we will be your first and only stop for your synthetic lubricant needs. If we don't answer the phone, please call our other associated dealer at 605-274-2580 for help. Or you may email cc@syntheticwarehouse.com. If you don't get a reply within a reasonable amount of time call our supply house at 800-579-0580 and let them know you first landed here at the Frisco?Mckinney page. They can text us and verify our inventory with you. We are part of the largest Southwest group of dealers and can provide top service should you need a quart for your passenger car or 10 drums per month for your manufacturing facility. If you will be buying 2-or more cases yearly or if you have a group you want to provide AMSOIL to it's best to use the Preferred Customer online form. This gives you the benefit of ordering direct at the wholesale price all the time as well as have the ability to upgrade to dealer as demand increases. See our dealer section for more on that. Why change oil every 5000 miles when you can go at least three times longer with just our Signature Series motor oil. And multiply that number by two or more using the bypass system. If you spend 30 minutes each time you wait at a quick lube, when you use the AMSOIL bypass you are saving 3 hours minimum. That's valuable time. You also save money on oil, filters, wear, add life to your engine, pick-up 2 to 8.5% in mileage and lower engine temperatures. But the core of our customers in Frisco are average commuters and commercial businesses looking to cut costs in fuel and average vehicle life. Texans are fans of AMSOIL!! It delivers. It makes their machines really perform and when someone brags about their so called "better" oil, sooner or later the tests come out showing that product was nothing more than a name.. Or what Al (Amsoil's founder) calls "A Johnny Come Lately!" Did you know most of the testing AMSOIL publishes all the way back from the early 70's were done right here in Texas? At the Southwest Research Institute (SwRI) which has even stretched the limits of many tests beyond proving AMSOIL is really what founder Al Amatuzio set out to accomplish - The Best! Local Frisco/The Colony demand has created a great need for AMSOIL dealers in this area, especially in the dense Plano/Allen/ areas. 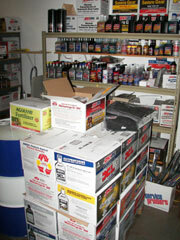 You get excellent support from myself as I am part of one of the most resourceful AMSOIL dealer groups in the country. We can send local and web generated leads your way. The #1 question we get from local customers is, "Where can I find AMSOIL here in Lewisville?" or any other city. AMSOIL is known for advanced lubricants - it goes without saying. But it is interesting to know which two product lines are the most advanced in the whole line well beyond anything else available in the market?? Both of these significantly aid the Las Vegas, NV stop & go traffic market. 4. Too much or too little grease was applied. Failing to maintain grease related parts with adequate amounts of the correct lubricant can result in component problems, equipment downtime and costly repairs. The lack of grease can cause failure, but too much grease is often the primary cause of failure because the excess grease causes high temperatures, which in turn oxidizes the lubricant. This article explains the transition where your top name shelf brands compromised their base stock formulations after the word "synthetic" was given a new definition. 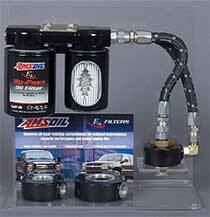 AMSOIL states there is only so much performance you can squeeze from the Group III's. And with so many quality levels of the Group III, it's easy for AMSOIL to select the better versions as no stock holders are clutching the strings to vary quality. own synthetics and synthetic blends to the marketplace, as Group III base stocks became increasingly available and competitive. Using classic market segmentation strategies — good, better, best — most oil marketers were happy to position two more tiers of engine oils, synthetic and partial synthetic, alongside their conventional product on merchandisers’ shelves. SKUs flourished!" When AMSOIL INC. was first created our goals were simple and straightforward. Foremost among them was providing the absolute best products we could possibly provide. I began by gaining as much knowledge as I could on synthetic lubrication. This required countless hours of research. I devoured every book and scientific paper available on the subject, then ultimately hired the most accomplished chemists in the field. Together, we laid the foundation of what would become a complete line of the finest lubricants in the industry. On a personal level, my financial goals were modest. I wanted simply to earn enough money to support my family and myself comfortably. Money alone was not what was driving me. Beyond that, we as a company were determined from the start that AMSOIL INC. would take every measure to do the right thing at all levels in the operation of our business and in the corporate relationships we developed. That, of course, included the business opportunity we provided. We have insisted from the start that the AMSOIL business opportunity remains viable, affordable and profitable for all Dealers who are serious enough, professional enough and willing enough to invest the time and effort. In that regard, we have employed a philosophy I learned very early in life; that is, a half a loaf of bread is better than none. We have always maintained extremely low profit margins in comparison to other oil companies, all to ensure the most competitive pricing possible. Good oil is expensive to make. Along similar lines, we have always taken great effort to provide the absolute best training possible for our Dealers. Once again, it is the right thing to do. AMSOIL University, for example, is specifically geared to arm Dealers with the expertise they can use to excel in all areas of this business. It is well-documented that those Dealers who take advantage of the training we provide, especially AMSOIL U, attain higher levels of success at faster rates than those Dealers who do not. We do right by our vendors, too. Although we will certainly never allow ourselves to be taken advantage of, we make no unreasonable demands. All we demand is a fair deal, and our vendors respect us for that. They appreciate our technical expertise and our relentless commitment to high quality. 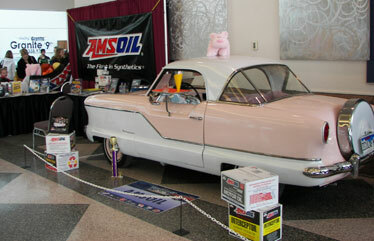 In fact, most of our vendors sincerely enjoy their visits to AMSOIL. They share in our challenge to develop great products, and they value the friendships we establish. There is no denying that this company also does right by consumers. Our products provide real and cost saving benefits that simply can’t be found with other products. Longer-lasting equipment, reduced maintenance, reduced fuel costs and fewer oil changes all contribute to customer satisfaction. And when you top that off with the environmental benefits, it is overwhelmingly obvious that we deliver value that consumers just won’t find elsewhere in the industry. And today, of course, consumer awareness has never been greater. 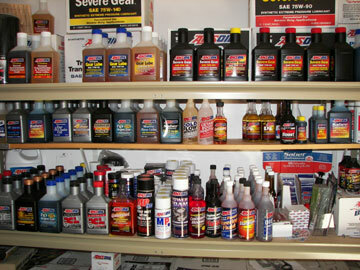 According to some sources, the demand for synthetic motor oil will continue to grow at a rate of 7.3 percent per year. Some project even higher rates. Growth is expected to continue in the light vehicle market, with a strong push in the medium and heavy-duty truck markets. Transmission fluids and hydraulic oils are also expected to increase in demand. There are other trends working in our favor. Drivers are keeping their vehicles longer. They are putting tens of thousands of more miles on their current vehicles than they put on their previous vehicles. That means thousands of more dollars spent on maintenance and a concerted effort to reduce those costs. As this trend continues, we’ll see demand for our products increase and opportunities for our Dealers expand. This small inventory order is usually gone in a couple days. Request AMSOIL at your local parts store or lube center to help us expand!